The most common mode of analysis in economic theory is to assume equilibrium. Yet, without a proper theory of how economies behave in disequilibrium, there is no foundation for such a practice. The necessary step in proposing a foundation is the formulation of a theory of stability, and in this 1984 book, Professor Fisher is primarily concerned with this subject, although disequilibrium behavior itself is analyzed. 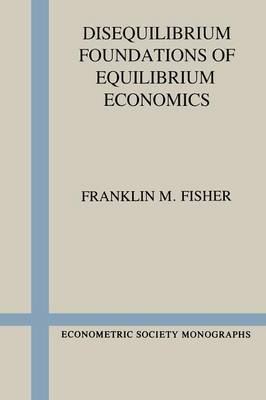 The author first undertakes a review of the existing literature on the stability of general equilibrium. He then proposes a more satisfactory general model in which agents realize their state of disequilibrium and act on arbitrage opportunities. The interrelated topics of the role of money, the nature of quantity constraints, and the optimal behaviour of arbitraging agents are extensively treated.